As the British Eventing fixtures calendar draws to a close, riders from around the UK and overseas celebrated high calibre end of year Championships and International classes at Weston Park (Shropshire,10th – 13th October 2013). This year’s Charles Owen Pony 3DE (CCNP*) title was won by 16 year old Shannon Nelson (IRE) from Kildare with her ride Millridge Buachaill Bui; the pair took the title on their dressage score of 44.4, just 0.3 of a penalty ahead of second placed and the best British rider, 14 year old Chelsea Pearce. Riding her own British-bred mare, Catherston Nutsafe (by Catherston Nightsafe), Wiltshire-based Chelsea finished on her dressage score of 44.7. Third place went to Jamie Thomas (GBR) from Cheshire who was riding his own Another Island who had added four show jumping faults to their impressive score of 44.3. 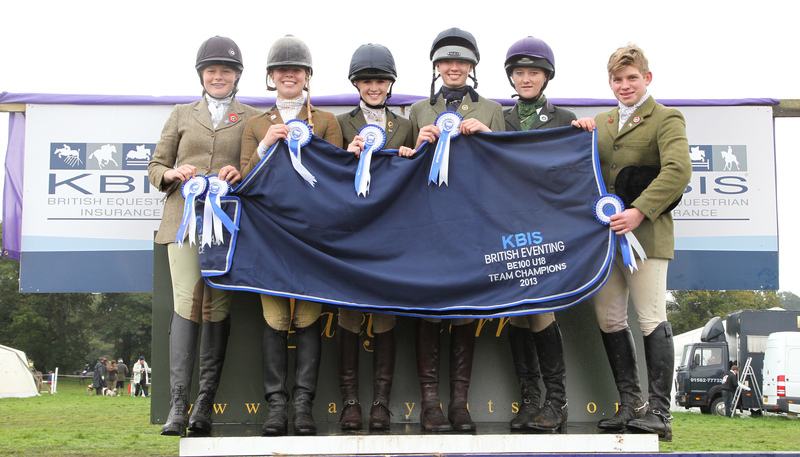 The inaugural KBIS sponsored BE100 U18 team Championship title was secured by the South West BE U18 team following confident efforts across the three phases with some very impressive dressage scores from team members. The individual KBIS BE100 U18 individual Champion was 18 year old Emily Proud from Somerset who was riding Sally Munden’s Kahawa (British-bred, by Lostock Huntsman). They finished on their fantastic dressage score of 20.3. Another Somerset-based South West team member took the runner up spot; Holly Parker who is 16 years old was riding Arie Cari. They started the competition with an incredible dressage score of 19.8 but unfortunately added 4.8 cross country time faults to finish in second place. 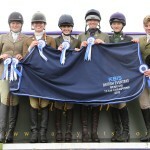 Third place went to 15 year old Lydia Norton from Louth in Lincolnshire who was riding for the BE ON U18 Midlands team. Riding her own Little Big Man II, Lydia finished on her dressage score of 25.8. 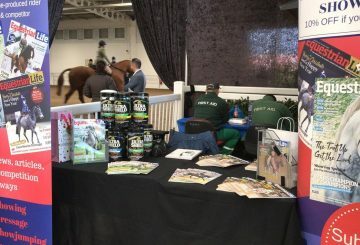 Following generous support from Sport England, this is the first year that British Eventing has had a National Championship at BE100 level for riders under 18. The 2013 KBIS ON U18 Championship team title also went to the highly successful South West BE U18 team with the individual title going to 18 year old Megan Cummings (also from the South West BE U18 team) from Exeter riding her own Albert VII (Dutch-bred by Timeless); this talented combination finished on their dressage score of 43.4. Second place went to a rider from the Northern BE U18 team, Kristina Hall-Jackson. Seventeen year old Kristina who is from Dewsbury (West Yorkshire) rode Judy Bradwell’s Lemington Lett Dance; they added a few show jumping penalties to their dressage mark of 42.7. Warwickshire-based Katie Bleloch (Central BE U18 team) rode her own Bulano into third place, finishing on their dressage score of 48.9. It proved to be a good weekend for Ireland again in the Patey Corne CCI Young Rider two star class with their Junior European team rider Harold Megahey and Chuckelberry winning the honours. The pair added 2.4 cross country time penalties and had one pole down in the show jumping finale of the competition to finish on 50.6. Second place and the British U21 title went to Britain’s 2013 Hows Racesafe Junior European team member, 17 year old Emily King with Nikki Brooks’ Brookleigh (bred in Germany, by Rockwell); the established combination finished on 54.4 after adding 1.2 cross country time and four show jumping penalties to their strong dressage score of 49.2. Emily was also crowned the winner of the 2013 Patey Corne OIu21 league after securing triple points at the series finale. Emily King’s second place in the section at Weston Park secured the rankings win for her and added two Patey hats as well as £250 in prize money to her prize haul. The CCI2* which was again generously supported by David & Catherine Witt was won by the Marlborough-based Frenchman Arthur Pottier on his own Quaolin de la Serre (by Apache D’Adriers), taking the title from Chepstow-based Sara Squires on his dressage score of 49.2. Sarah and Francine Fenley’s stallion, Sula Blue started the competition in strong form with a score of 47.2 dressage and had just one fence down to finish in second place. Third place went to Cheshire rider Hannah Bate with her own and Clive Wright’s Watson III who added two cross country time penalties and rolled a pole to finish on 51.6. This year’s CC1* at Weston was kindly supported by Boultons Arenas and Gallops and was dominated by up and coming young British riders. Former British Pony team rider, 16 year old Sam Ecroyd from Flintshire won the section with his own Wodan IV (by Mr Concorde BJ) adding nothing to their dressage score of 42.1. Emily King was again successful in this section taking second place with Gabriella Atkinson’s Walitze F Vejgard on 45.9. They sadly had several rails down to finish on 45.9 after an impressive dressage start of 33.9. Eighteen year old Oxfordshire-based rider Alice Sandberg took third place with her own Brown Lady unfortunately lowering a rail to finish on 46.1.